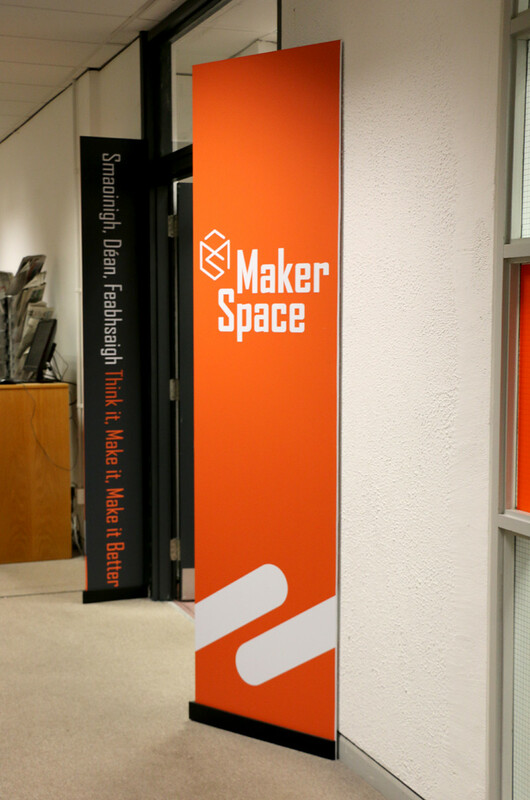 The MakerSpace is a space for engaged teaching and learning in The James Hardiman Library of NUIG. 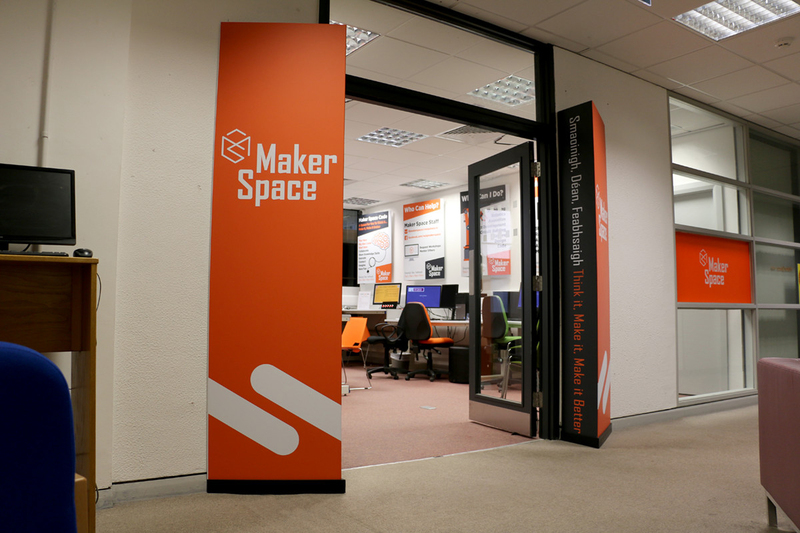 3D Printing facilities, Arduino Protyping Boards, Maker PC’s and Raspberry Pi’s are available to students and staff. 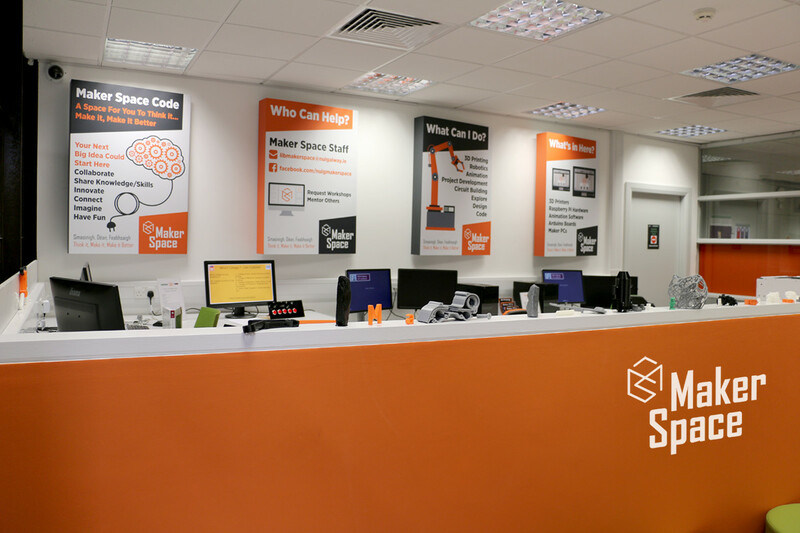 Proviz created the logo and oversaw the rollout of signage for the project.